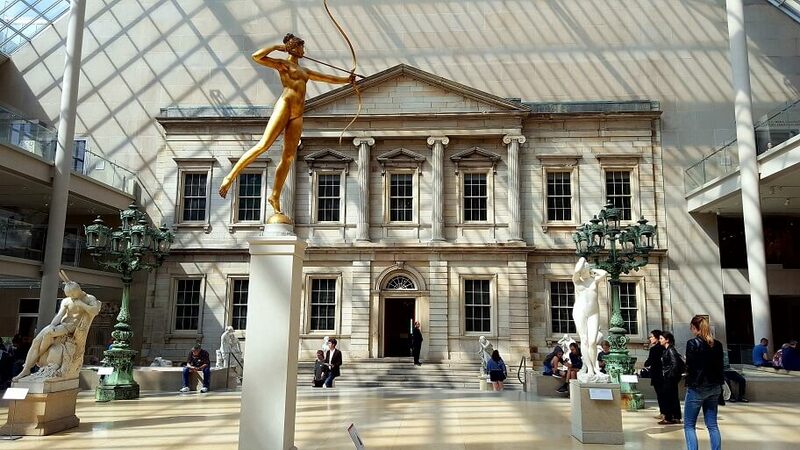 New York City’s Metropolitan Museum of Art is not a place that you can whiz through in a short time, even though I’m (somewhat embarrassed) to be the author of tips for seeing a major museum in one hour. The bottom line is that you will need a few hours at least to BEGIN to scratch the surface. The Met museum map has a dotted line “Red Route” for the quickest way to get through the centuries of wonders. Another way is to pick one or two galleries and do a deep dive. The American Wing at the Met is a good choice for that, because there’s such a variety of paintings, sculpture, and decorative arts items. Above that courtyard is a stunning collection of musical instruments from around the world. Human ingenuity makes musical sounds out of the most mundane items. The Art of Music Through Time, plus the Fanfare Gallery, Organ Loft and Instruments in Focus, present so many beautiful works of art that also happen to play music. I’m not a musician myself, but similar to Oklahoma City’s American Banjo Museum, I was enthralled by the craftsmanship. There are interactive kiosks and listening stations, and of course even more to listen to through the Met’s audio guide. 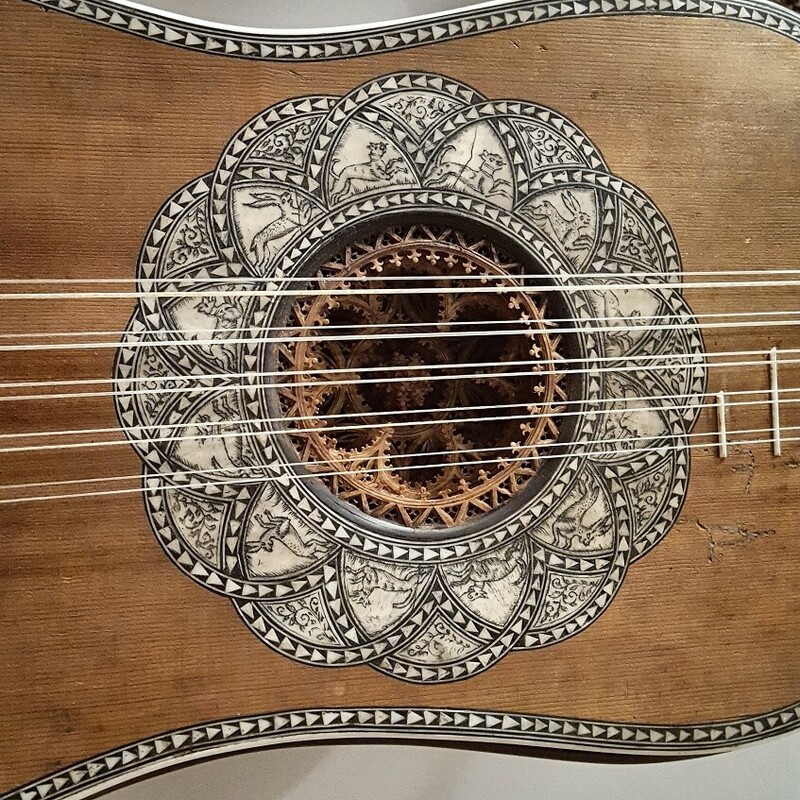 A haunting piece of harpsichord music was quietly playing from speakers as I strolled through the gallery, marveling at the world’s oldest surviving piano – by Bartolomeo Cristofori, Florence, 1720 – incredible Ming cloisonné trumpets, Andrés Segovia’s guitar, and of course violins by Antonio Stradivari. 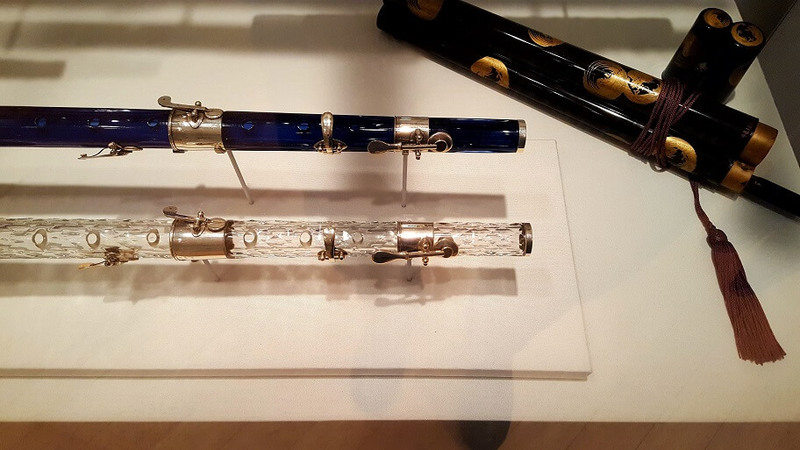 Look at the glass flutes in the photo at the top of this post – the clear one was owned by Napoléon Bonaparte. 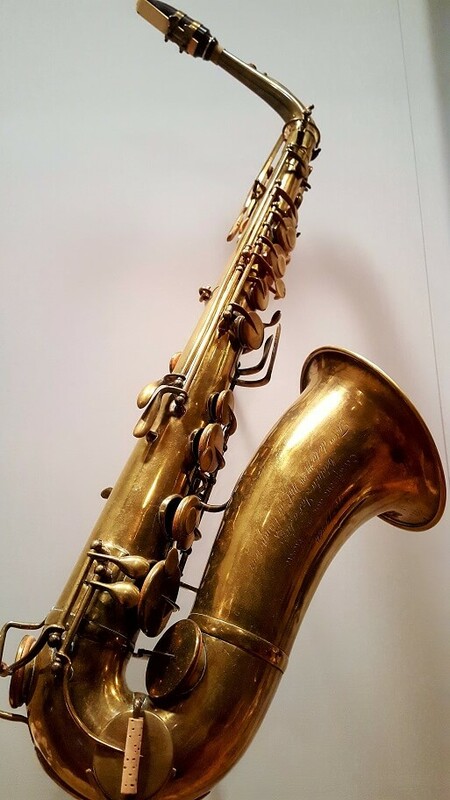 How much fun to see a saxophone by the man who made them famous! A gallery called Fanfare features all sorts of brass instruments through time. You can, but take small bites. Start with a single gallery, like Musical Instruments at the Met, and don’t leave until you’ve seen it all and there’s a big, satisfied smile on your face. Humming a tune will probably happen, too.